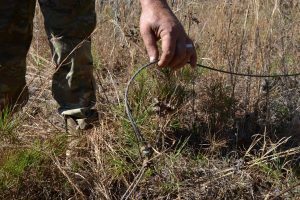 Earlier this week, we had to go and do a little forensic inspection of a tower which was severely damaged by an electric company bushhog operator who was cutting and clearing the right-of-way. Here are a few photos of the damage and how the tower failed as a result of the incident. 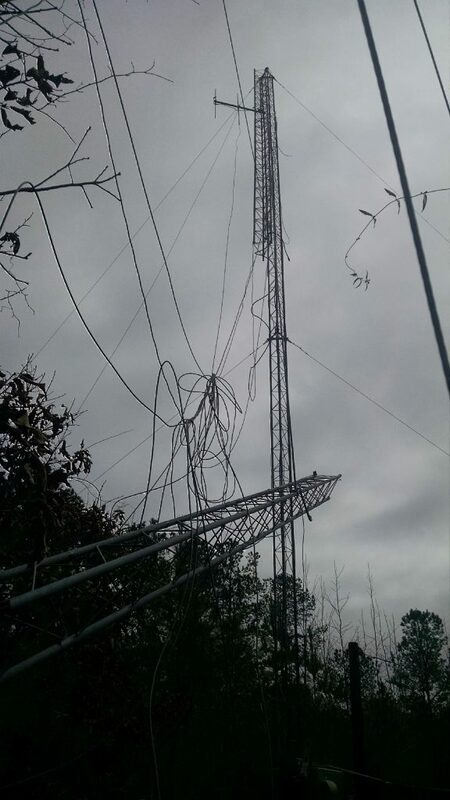 This is how the tower looked when the owner went to investigate the loss of signal from his equipment. 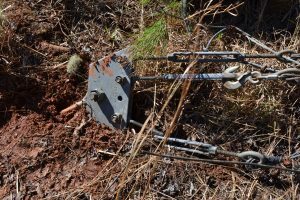 This guy wire anchor and spreader had been struck by a utility company “bushhog.” It went unreported by the operator of the bush hog. The tower owner could tell that the site and utility right-of-way had just been cut, and he and the deputy finally made contact with the equipment operator who admitted he had struck the guy hardware, causing the tower collapse. Top guy, which had been pulled with enough force to pull the upper part of the tower over. One of the two tower legs which literally bent and folder over, in a hinge-like fashion. 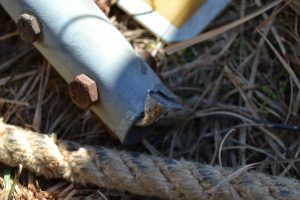 The second of the two tower legs which bent and folder over. 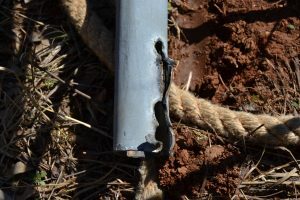 This tower leg was opposite the side of the force of the top, front guy wire being pulled by the bushhog. 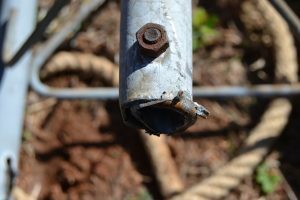 As can be seen, the bolts remained intact in the mating leg, and the force was sufficient to cause the bolts to rip through the galvanized metal tower leg.